The attorneys at our law office bring decades of combined experience to the table and are well-versed in the complexities often associated with the cases we handle. We are admitted to practice before courts throughout the state and across the country. Perhaps most importantly, we are known for being responsive attorneys. Every client we meet with receives a customized strategy for his or her case. When a client contacts us, we respond as quickly as possible. Additionally, we are highly involved in both the legal and local communities. For example, we are members of groups such as the Ohio State Bar Association's estate planning, trust and probate section. Our founding attorney, Robert Maguire, has taught law courses at several universities. 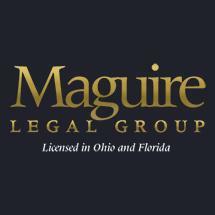 Maguire Legal Group takes cases in the Akron area as well as in Summit County, and we have attorneys licensed in Ohio and Florida. We accept credit cards at our law office.